Rejoicify! 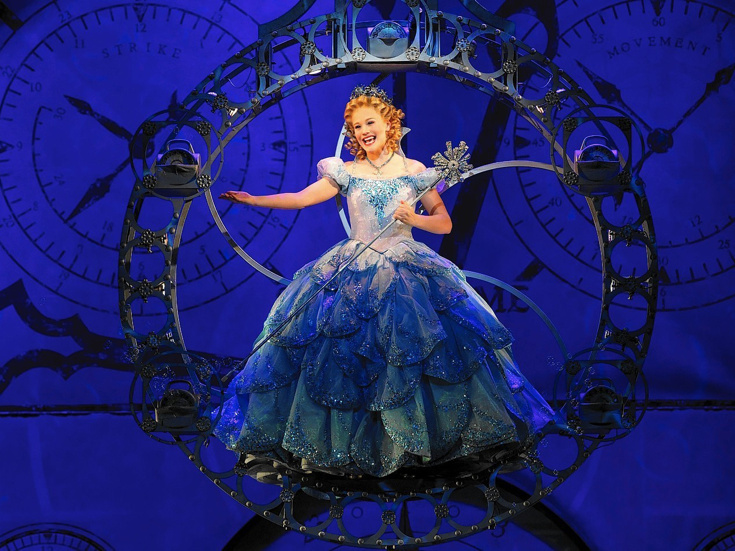 Carrie St. Louis will step into Glinda's bubble in Broadway's Wicked on February 2, replacing Kara Lindsay. Peter Scolari is also set to begin performances in the production as the Wizard, taking over for Fred Applegate. St. Louis made her Broadway debut in Rock of Ages and has been playing Glinda on the National Tour. Scolari, perhaps best known for Bosom Buddies, was last seen on the Great White Way in Bronx Bombers. Also joining the cast at the Gershwin Theatre on February 2 will be Dawn Cantwell (for Arielle Jacobs) as Nessarose, Michael Genet (for Timothy Britten Parker) as Dr. Dillamond and Zachary Piser (for Robin De Jesus ) as Boq. Rachel Tucker will continue to defy gravity as Elphaba and Jonah Platt remains as Fiyero. Kathy Fitzgerald is scheduled to play the role of Madame Morrible from February 2 through February 14, stepping in for Michele Lee; two-time Tony winner Judy Kaye will begin performances as the character on February 16.